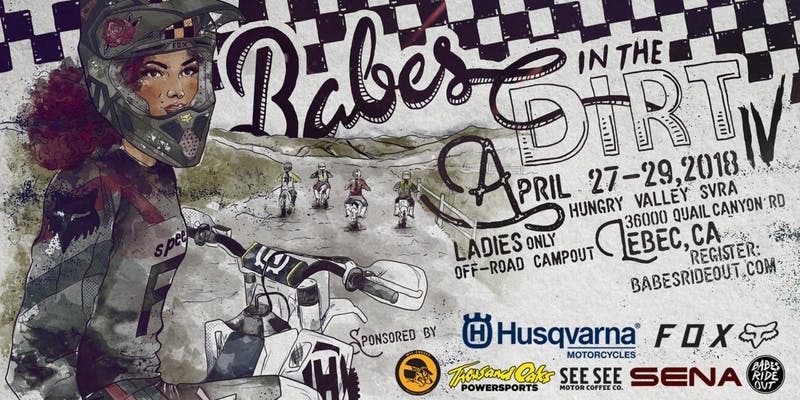 Who's going to Babes in the Dirt 4?!! If your a babe, or know a babe that rides or you know a babe that wants to learn get out to BID4 on April 28-29th! We’re be out there as trail support to help, bringing the heat with all the firewood you can handle, also we'll have WLF / Cub Camp; We will be staging a camp area for Dads, Husbands, Kiddos, Boyfriends or just bro friends (we don't judge) to get everyone together while you gals do your thing in the event space! ..We're here to witness the radness of what all you ladies have built together, and a full focus on the community of women riders!